With WP Ultimo you can now allow your potential customers to register a custom domain name right on the sign-up flow. 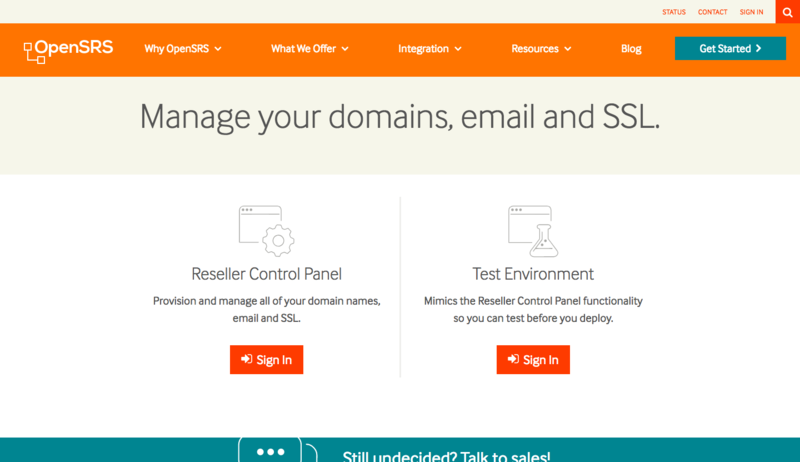 The only Domain Registration provider supported right now is OpenSRS. This tutorial requires that you have the Domain Seller feature plugin installed and network-activated. To do that, go to WP Ultimo Feature Plugins, select the Domain Seller feature plugin, click Install to download it and then Activate. It also requires that you have a Reseller account on OpenSRS, which has a setup fee of USD 95,00 (which gets reverted as account credit for domain purchases). OpenSRS offers two completely separated control panels (they look the same, but are hosted on different URLs): a test and a live panel. If you have the Sandbox Mode option activated on the OpenSRS options in WP Ultimo, follow the steps below on the TEST control panel. Once you are ready to go live, you’ll need to redo all the steps on the LIVE panel, since the settings and the API key are not the same. To enable domain registration, go to WP Ultimo Settings Domain Mapping & SSL and search for the Domain Registration Options. 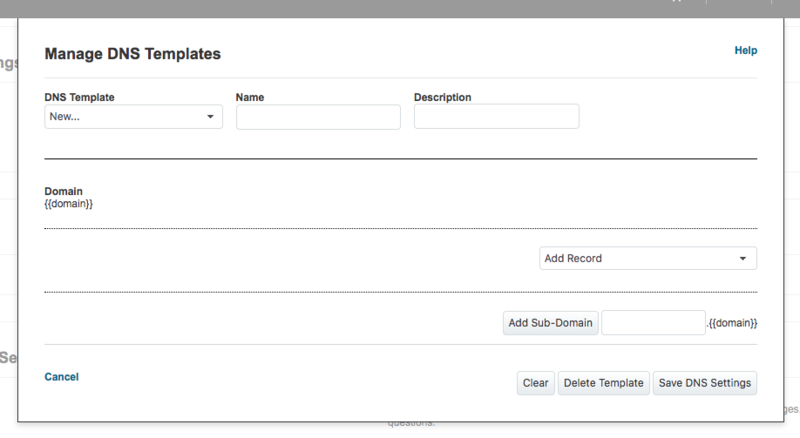 You can then toggle the Enable Domain Registration option. A bunch of different options will appear below after you check that box. You are required to fill the Domain Registration Contact Options in order for the OpenSRS integration to work. On the Domain Registration Provider Options section, select OpenSRS as the provider. A new block containing the OpenSRS options should appear below. Change the options to fit your domain registration strategy. Place your OpenSRS username on the OpenSRS Reseller Username field and be sure you are using the right Sandbox Mode option. For the API Key and IP whitelisting, follow the steps below. Log in to your OpenSRS control panel (live or test, depending on the sandbox mode configuration). Once logged in, at the top-right corner of the screen, click on the Account Settings link. Once inside the Accounts Settings page, click on the API Settings Tab. You should see a block called API Key. If no API Key is being displayed, click the Generate API Key button. 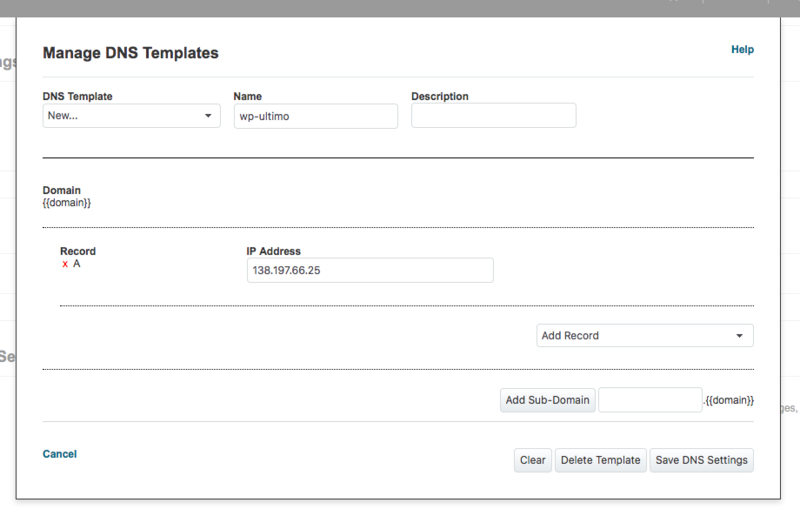 Then, copy the API key value and place it on the respective field on the WP Ultimo settings page. OpenSRS takes security pretty seriously, that’s why they only allow API calls to their server to be made by a collection of whitelisted IPs you can add on your account. To add your network’s IP address to the OpenSRS whitelist, search for the IP Access Rules block on the same page you grabbed your API Key from. Click on the Edit button at the top-right corner. A pop-up window for adding a new IP address should appear. Go back to your WP Ultimo Settings page and copy your network’s IP address from the little note under the OpenSRS settings section. Place it on the IP Address field, make sure the Allow option is checked and click the Add button. While you are on the OpenSRS control panel, let’s add a DNS template. Our OpenSRS integration uses their name servers to make things easier to set up. This means that we’ll need to add DNS template which is going to be added to all domains registered on our reseller account. That template is what will make sure the new domains are pointed to our network’s IP Address. To add a new DNS template, head over to the Domains page. Once there, click on the Settings tab and search for the Manage DNS Templates section. Click on the Edit link at the top-right corner, this should open a modal window. 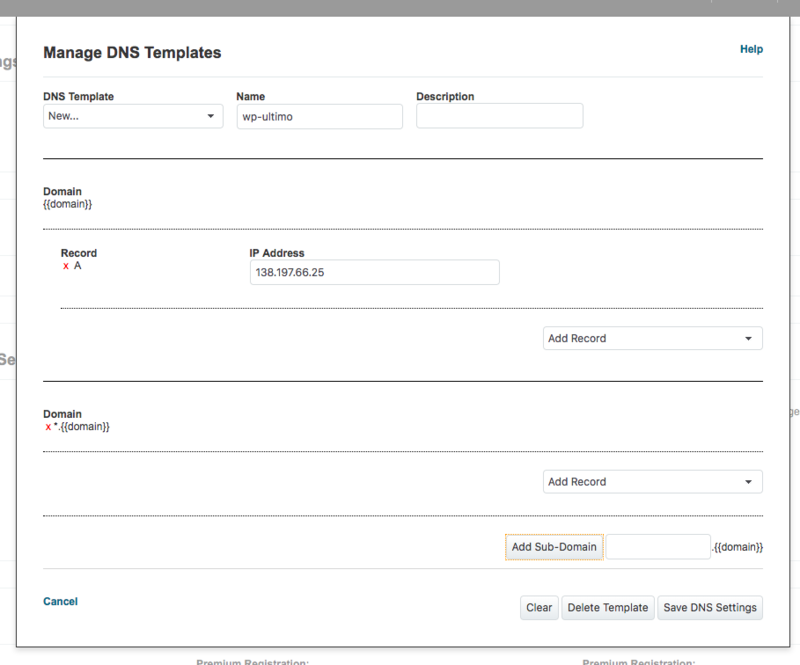 On the DNS Template field, leave New…. The name field should be filled with wp-ultimo. This is important as this is the name WP Ultimo is configured to look for when registering new domain names. Click on the Add record field and select A Record. A new record block will appear. Place your network’s IP address on the IP Address field. On the Add Sub-Domain field, add a * as the value. This will also create a wildcard A record pointing all the subdomains for that domain name to the same IP address. You need to actually press the Add Sub-Domain button after placing the *. You can now safely click the Save DNS Settings button and your DNS template will be saved and ready to be used by WP Ultimo. Go back to your WP Ultimo Settings page and save the settings if you have not done it yet. Then, at the bottom of the OpenSRS integration options, click the Test Connectivity button. You should see a message like the one in the image below. You now need to go to the Plan edit page of the plans you want to support domain registering. Once there, click on the Domain Register tab on the Plan Settings block. Check the Enable Domain Registration checkbox and you are ready to go! If you are having issues getting the integration to work, go to WP Ultimo System Info Logs and search for the OpenSRS log file. Search for any error messages. If nothing there seems strange, send the log file to our support channels and we’ll happily help you out.